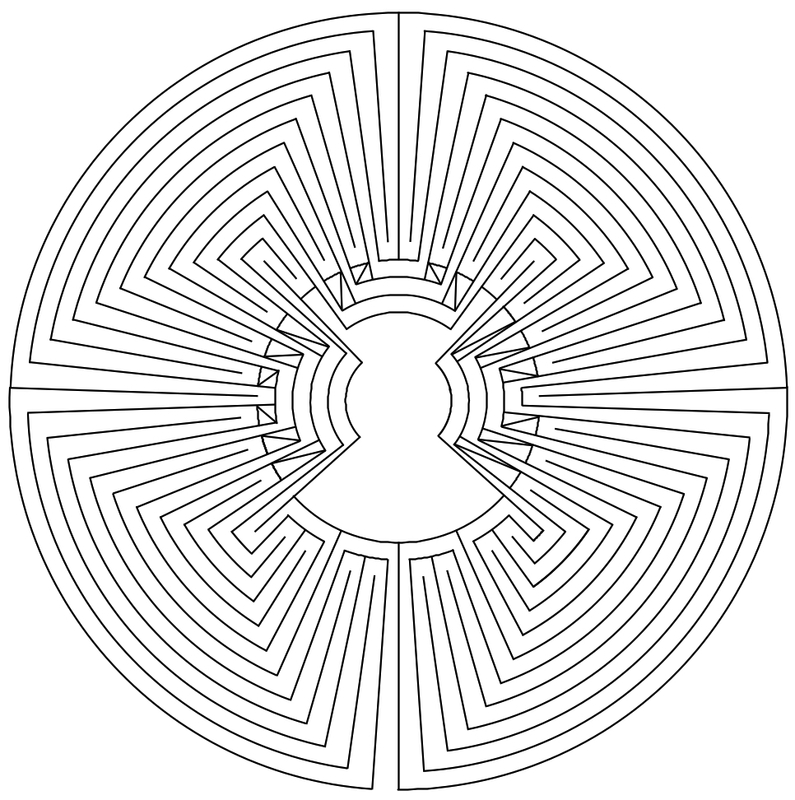 A careful view of the Chartres type labyrinth in the Man-in-the-Maze style (see related posts 1, below) revealed that the design can still be improved. In addition to the not accessible middle, this figure has another 16 smaller segments that are not covered by the pathway. These are highlighted as crossed-through areas in fig. 1. Among others one requirement is that the pathway in a labyrinth should cover as much of the space of the figure as possible and should not let remain any „dead spots“. Such uncovered segments are therefore not liked to be seen in labyrinths. These segments have evolved as a result of the construction of the seed pattern (see related posts 2). However, upon a closer view it turned out that they can be resolved. For this, as shown in fig. 2, the outer delimiting line has to be removed and the wall delimiting the pathway in between must be prolonged further to the inside. The necessary corrections are shown for the segment on low left in orange color. Such corrections must be carried out for all 16 segments in a similar way. The result can be seen in fig. 3. 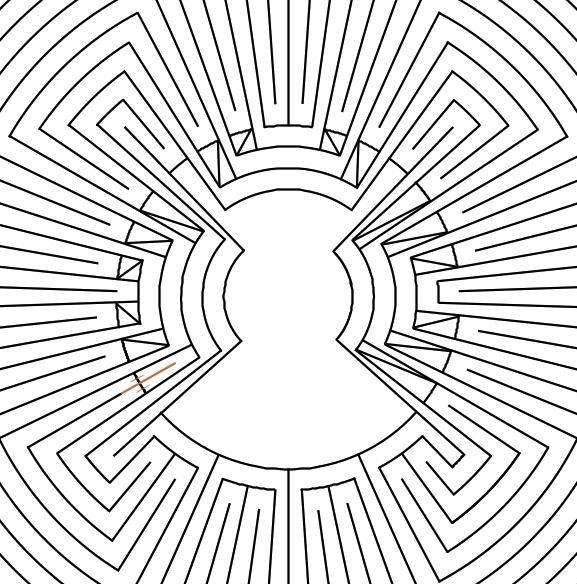 After these corrections, the labyrinth looks even somewhat more dynamic. Finally, only the one non accessible middle is left over. This is just the same as in the alternating one-arm labyrinths in the MiM-style. However, now it cannot anymore be seen easily where the pathway traverses the side-arms. Therefore, the gain in dynamics and unity is associated with a loss in transparency.